Product prices and availability are accurate as of 2019-04-20 14:32:54 UTC and are subject to change. Any price and availability information displayed on http://www.amazon.com/ at the time of purchase will apply to the purchase of this product. 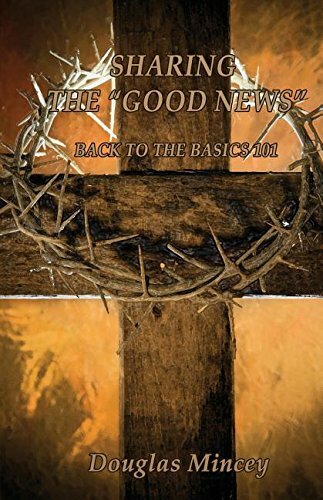 Author Bookstand is proud to offer Sharing the Good News: Back to the Basics 101 by Bookstand Publishing. Bookstand Publishing offers books by the best indie authors throughout North America and the world. Bookstand Publishing is dedicated to offering original content to a broad audience and promoting great authors, literacy, and freedom of expression. Sharing the Good News: Back to the Basics 101 has generated a lot of interest and excitement and we think it would be an excellent addition to your library. Using the purity of God's written word, Sharing The "Good News": Back to The Basics 101 will enable an unbeliever to understand some basic truths about God (Jesus and the Holy Spirit). An unbeliever will also be able to grasp the answers to some foundational questions: Who is God? Who is Jesus? Who is the Holy Spirit? How do I know that God loves me? How do I share my faith with others? In addition, this book will provide a believer with the confidence needed to tell others about their personal relationship with God through Jesus Christ. Sharing The "Good News": Back to the Basics 101 is also an excellent resource for individual or small group Bible studies.